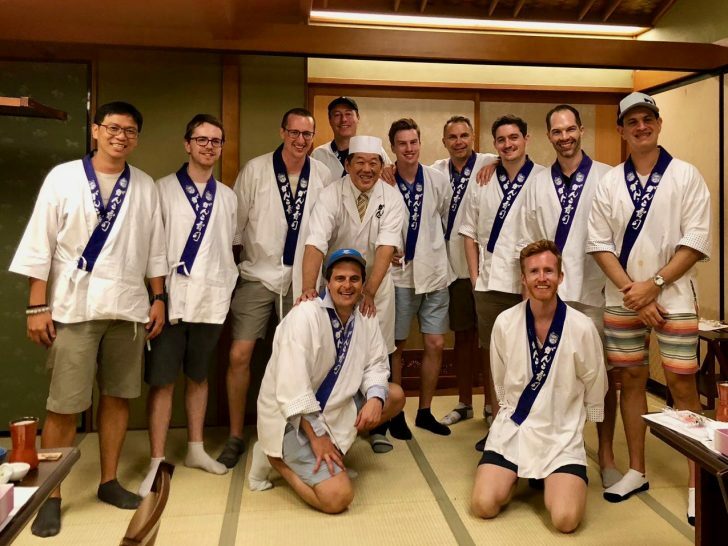 With a large contingent of the Point Hacks team working remotely—as to be expected from a travel blog—we got together in Japan’s capital in late August-early September for a four-day team meetup. We also have a few others working both as contributors and behind-the-scenes who were unfortunately unable to make it. 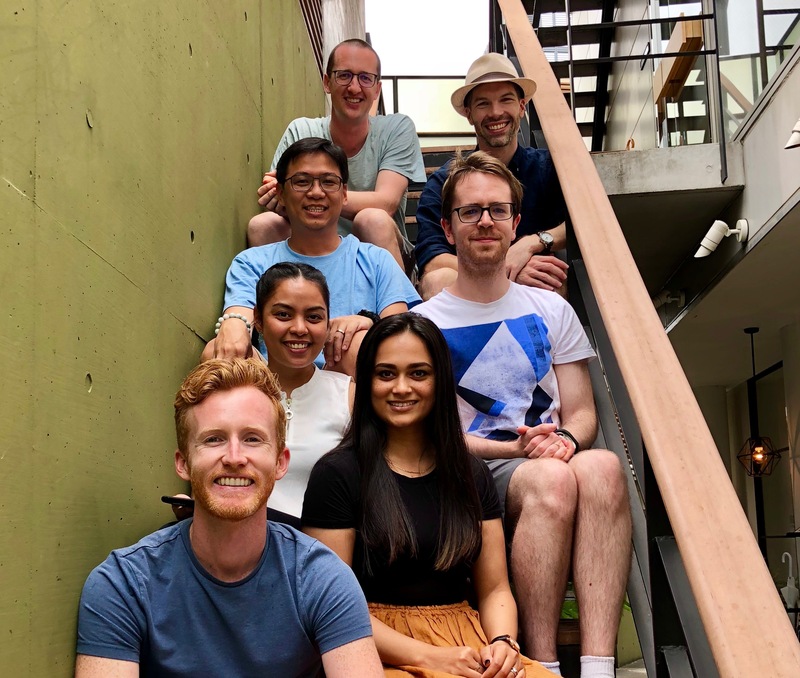 We had our first team meetup in Singapore last year. This one of the best redemptions in the world and I do not expect it to last much longer! 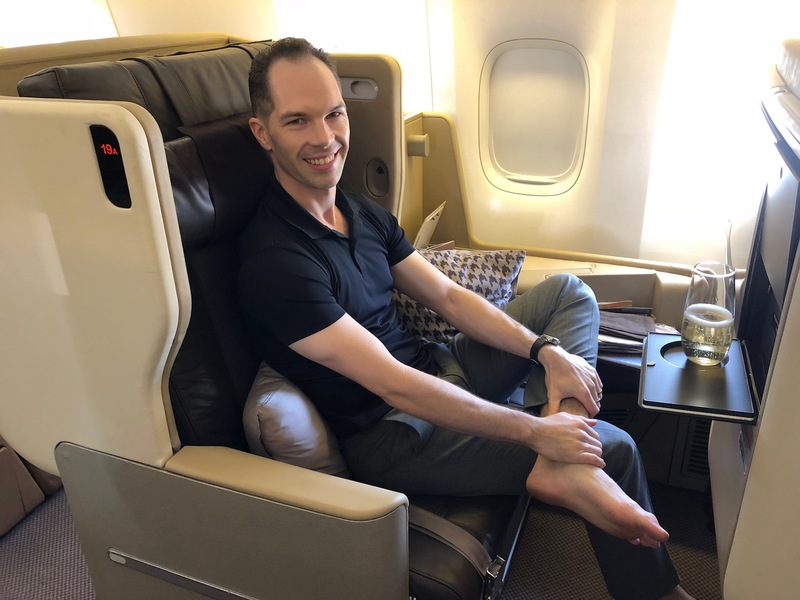 For comparison purposes, a Singapore Airlines First Class flight from LA to Tokyo prices at 95,000 KrisFlyer miles one-way—I forked out 110,000 miles return. 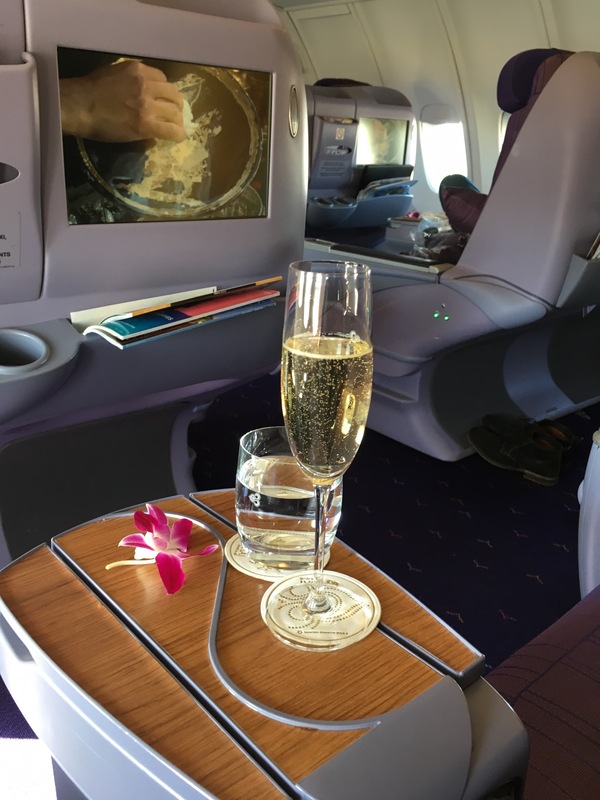 Virgin Atlantic miles are transferable from Marriott Rewards. 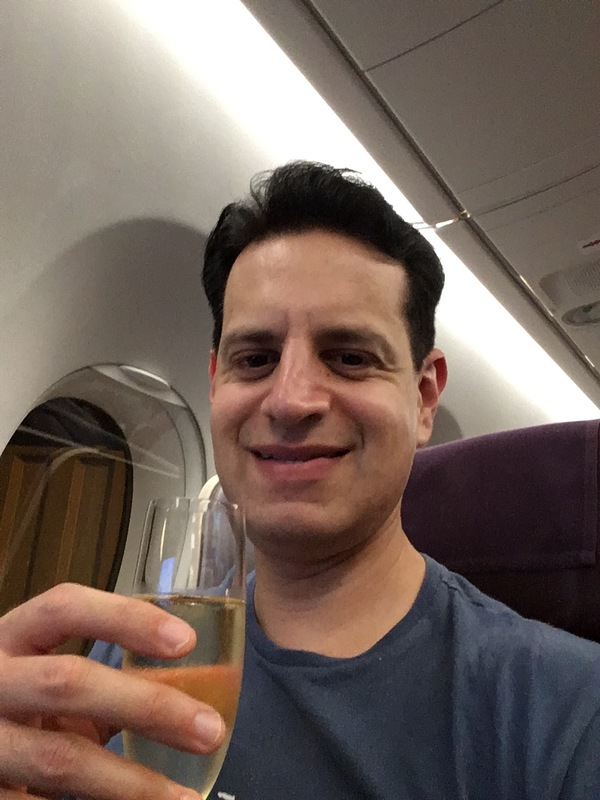 Prior to boarding, I spent an hour in the Star Alliance First Class Lounge, which was not anything special, so I headed to the adjacent Business Class Lounge for a hot shower and a relax on the outdoor patio. 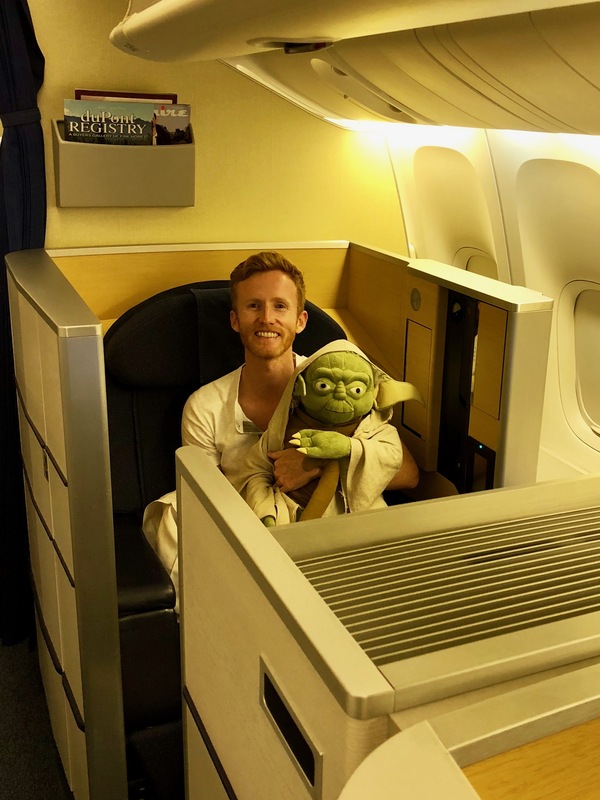 As I was departing in the darkness of the early morning, I did not see the exterior of the plane was plastered in Star Wars livery—I only realised I was on one of ANA’s themed planes when the first thing that happened upon boarding was a Yoda doll being thrust into my hands for a photo! before getting some shut-eye on the extremely comfortable bed with a foam mattress pad (although I still think Cathay Pacific’s First Class bed has more cushion). The customer service was attentive, friendly and warm, as to be expected from a Japanese airline. I flew in and out of Tokyo’s Haneda Airport, which is more convenient to access from most parts of the city. The main ANA Suite Lounge (First Class Lounge) was packed to the brim with a two-hour wait for showers and à la carte dining tables, so I walked ten minutes to its much smaller counterpart, was first in line for a shower and enjoyed the more peaceful, intimate space. Two days after team meetup in Tokyo, Keith and I were caught in Typhoon Jebi in Kyoto. The next day I flew up to Hokkaido and six hours after arriving, I was in an earthquake and my Airbnb lost power for 48 hours. Then I decided see out the rest of my time in Japan at a beach back on Honshu but once there, there was torrential rain and a tornado warning. 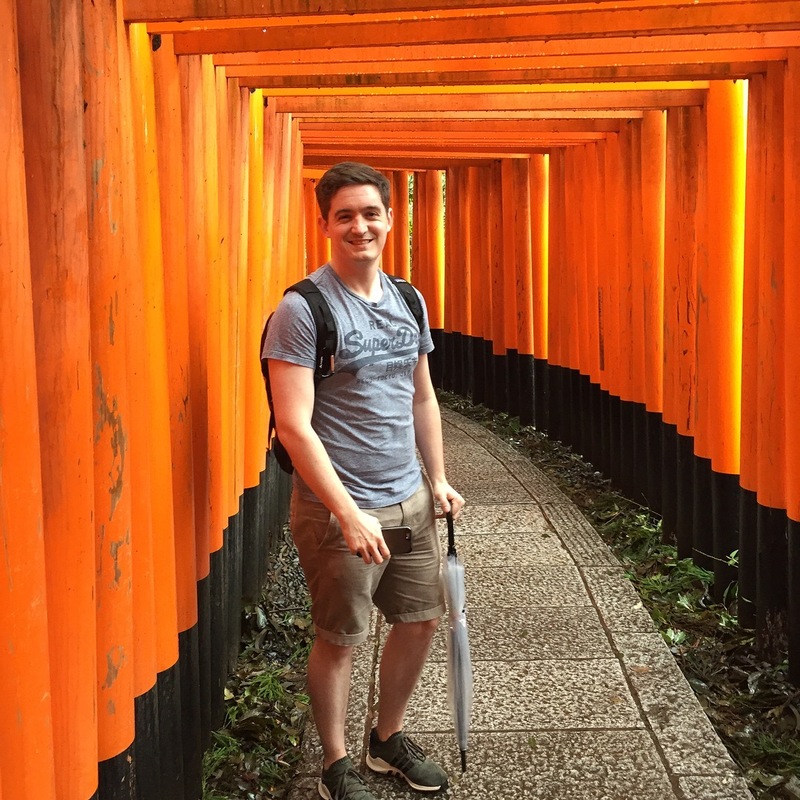 Don’t worry—I still adore Japan but I do not think I would recommend visiting during typhoon season (July to October). I did not use any lounge in Sydney—straight to the gate for me. 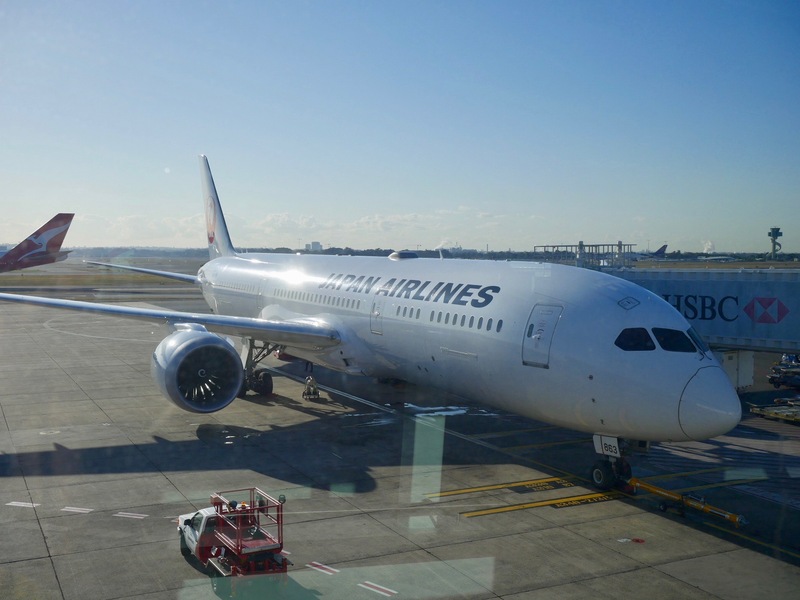 The Sydney – Tokyo Narita day flight was great, with good service. The Western menu was not amazing—I should have ordered the Japanese set menu instead. It was a comfortable seat for lounging, with great privacy and direct aisle access from the window seat. 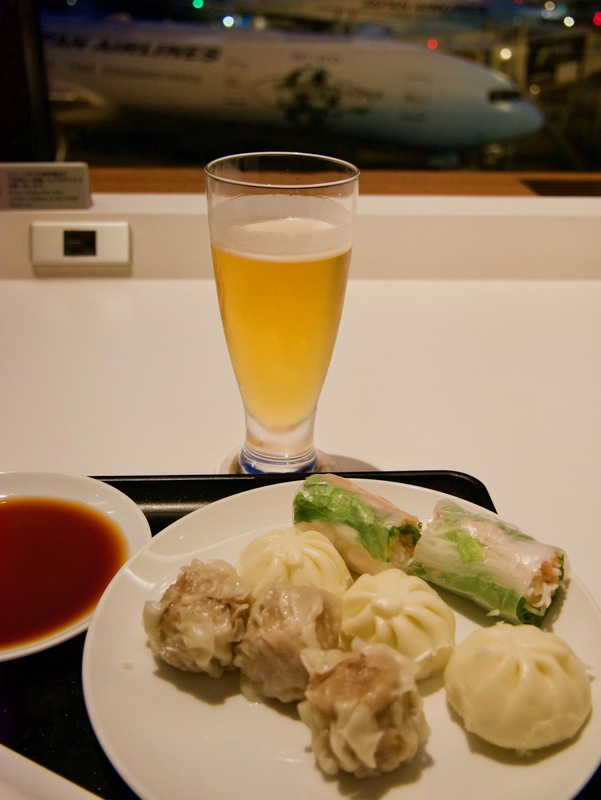 The lounge in Narita was fun, with beer machines, good dumplings and Japanese food, and a decent sake selection. 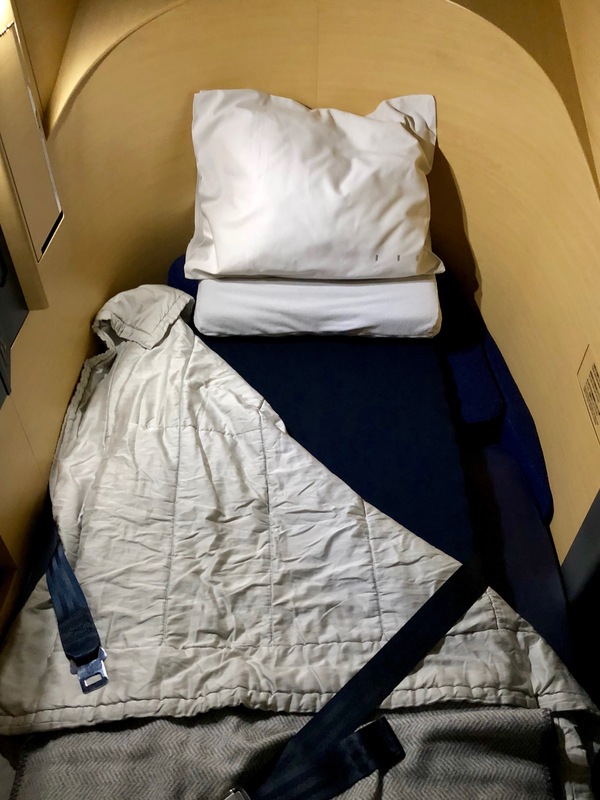 The return flight was good but I slept poorly due to a little turbulence, cabin temperature and something to do with the seat and bed configuration not quite working for me. 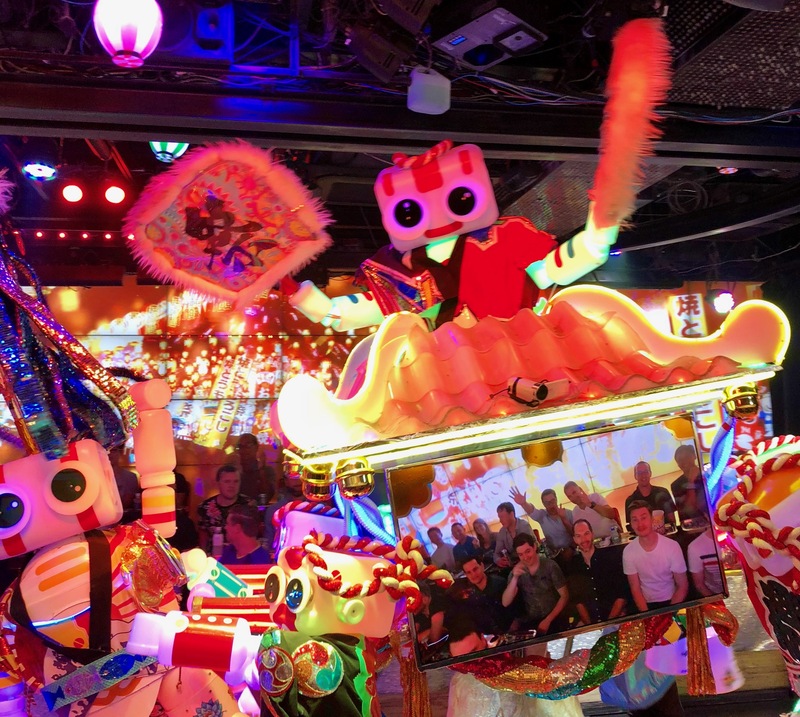 I thought this was an excellent use of Qantas Points to get to Japan, with Japan Airlines opening up a lot of award availability within two weeks and then again a couple of days prior to departure. I lounged hopped in Sydney. I liked the view from the American Express Lounge, which overlooked the runway and had the city in the background. Breakfast in the SilverKris Lounge was great and was nice and quiet with plenty of seating. The Air New Zealand Lounge had great coffee but even though it is a very large lounge, it was packed and I managed to get the last seat going. 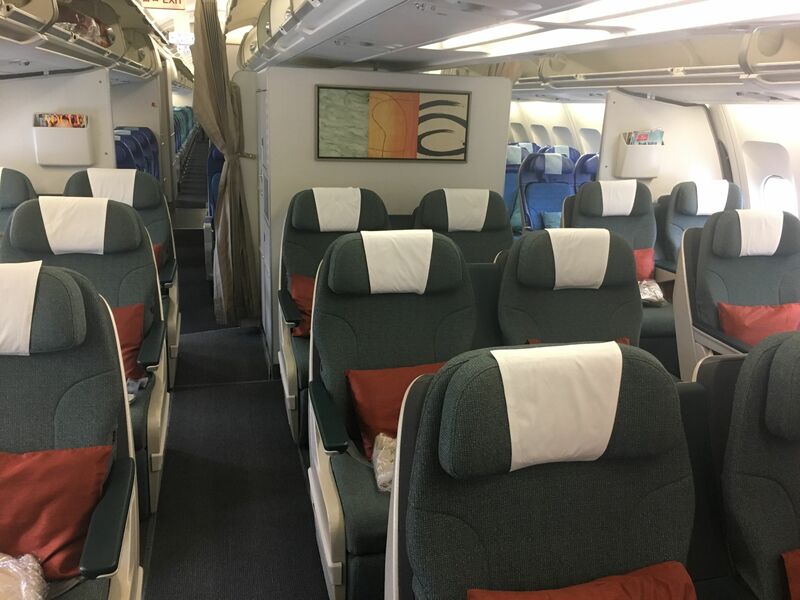 The 747 flight to Bangkok was very good—being on the upper deck, it felt very private, and the cabin crew were very attentive. The ANA Economy Class seats were surprisingly comfortable and roomy for my height (5’10”). 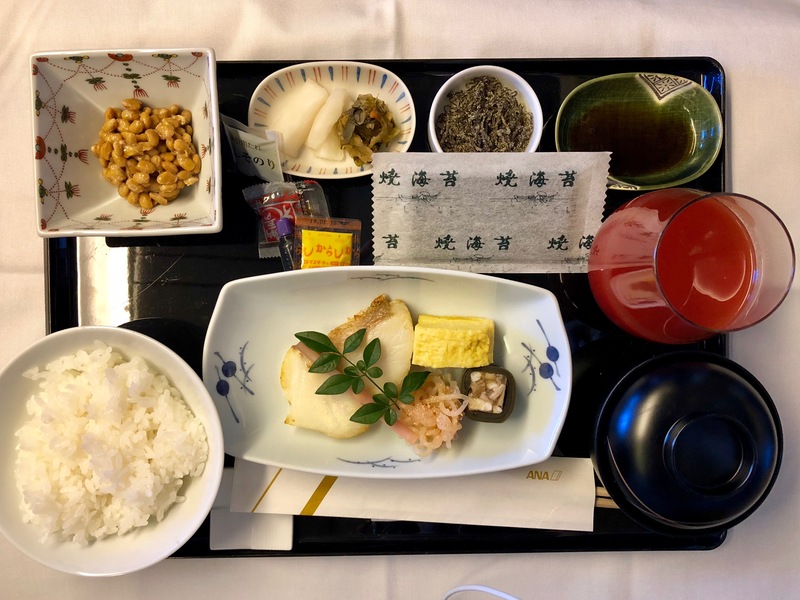 The inflight food and service were spot on, in typical Japanese style, with good choices for drinks including beer and highballs. The inflight entertainment system also had a nice selection of movies and TV series, from Hollywood blockbusters to Japanese anime, and kept me awake for the relatively short four-hour flight. 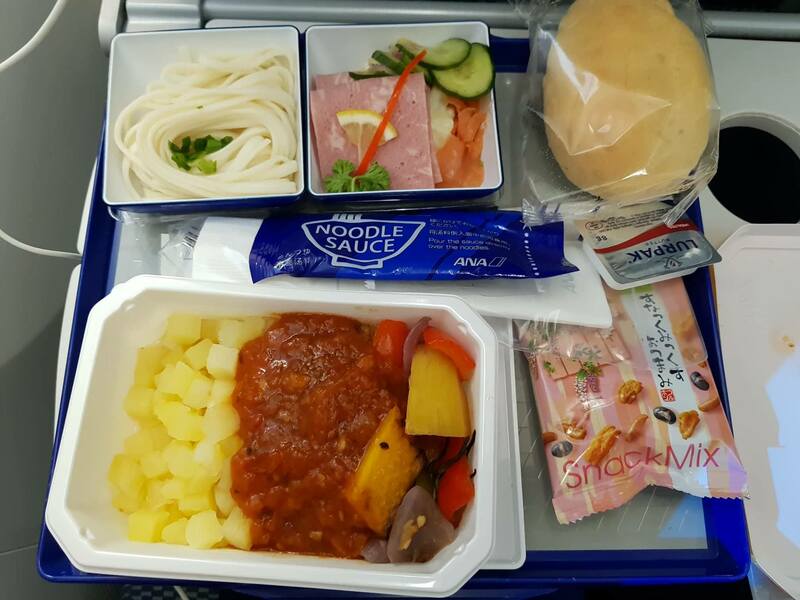 For a budget traveller like me, the experience of flying with a full-service airline like ANA was definitely worth it, even for the added cost. Role: As Managing Editor of our New Zealand site, I spend most of my time teaching Kiwis how to earn anything but Airpoints Dollars! 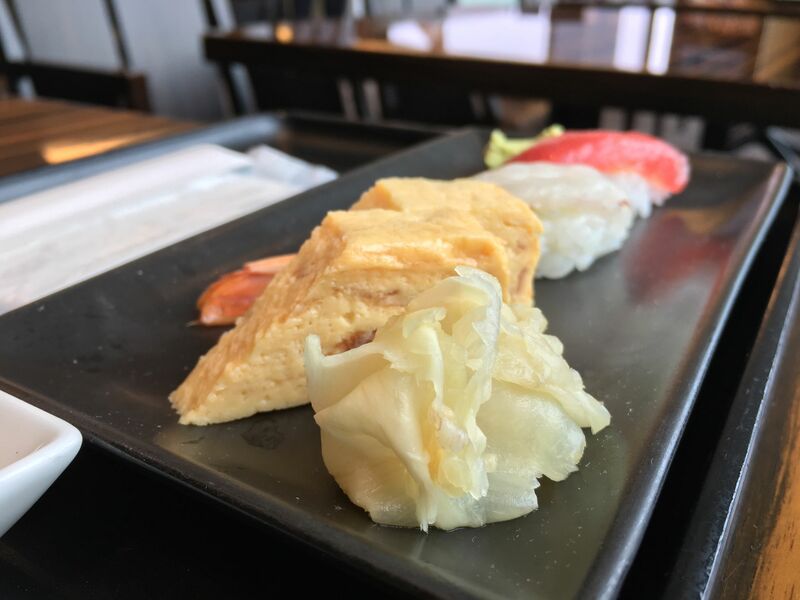 I started my journey off with fresh, made-to-order sushi for breakfast in the Japan Airlines First Class Lounge at Narita, which I gained access to thanks to having Qantas Platinum status. 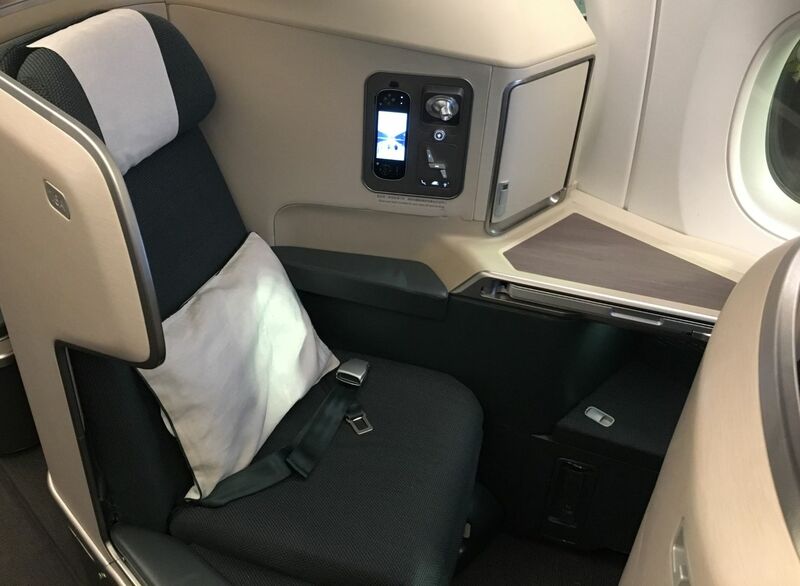 I enjoyed a comfortable flight aboard the A330 with Cathay Pacific’s regional Business Class product to Hong Kong, then I then spent many pampered hours in Cathay’s First Class lounges, The Pier and The Wing, and probably ate far too much food. 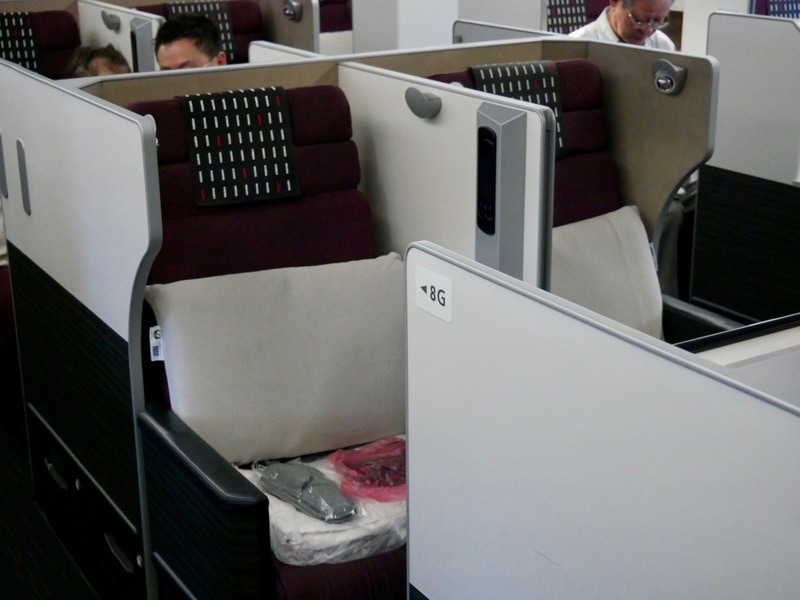 I then enjoyed an amazing sleep onboard A350 Business Class before arriving home in Auckland. The SilverKris Lounge at Changi is one of the best I have spent time in—it is much better than the lounge in Sydney, where I would recommend travellers to go to the Air New Zealand Lounge instead. And it is miles ahead of the KrisFlyer Gold Lounge at Changi, which is the facility for anyone holding Star Alliance Gold but not travelling in Business Class. 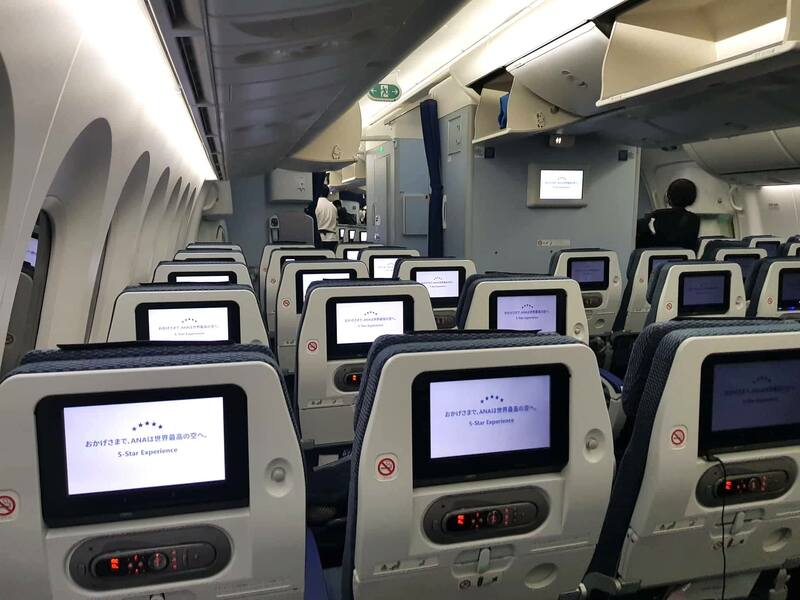 My flights in both directions were the Boeing 777-300, however, the flight to Tokyo had the older fit-out, which was mostly evident through the dated inflight entertainment system. 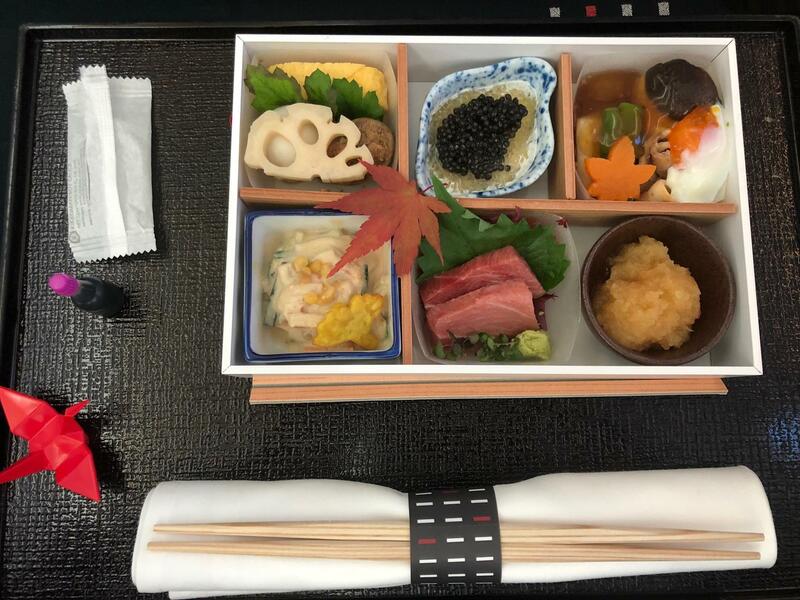 Singapore Airlines has a special multi-set Japanese menu for flights to/from Japan that is definitely worth a try. Using the lounge passes that came with my Qantas American Express Ultimate, my brother and I were able to use the Qantas International Business Lounge at Narita prior to our Economy Class flight home. The lounge was spacious and had a great outlook out onto the tarmac and had the additional benefit of being right next to our gate. The Economy seat itself was nothing special, and a good portion of my leg room was lost due to an obstruction under the seat in front of me. The inflight meal was better than expected—I felt like Qantas has made an effort to up their game in that regard. I thought the Japan Airlines First Class Lounge at Narita had some great features like the sushi bar and shoe-shining station but it was quite crowded. I found the 787 Business Class seat to be a little dated but its design optimised privacy, storage and space wonderfully. 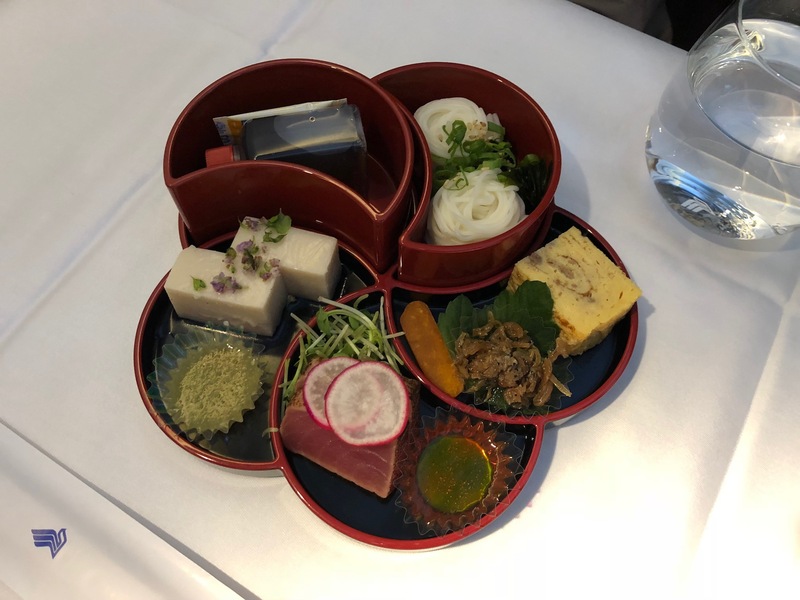 The highlight for me was the bento box, which contained six separate segments, each with 4-5 seasonal elements coming together to form some delicious Japanese fusion flavours—my favourite being the bonito broth jelly with cauliflower purée topped with caviar. 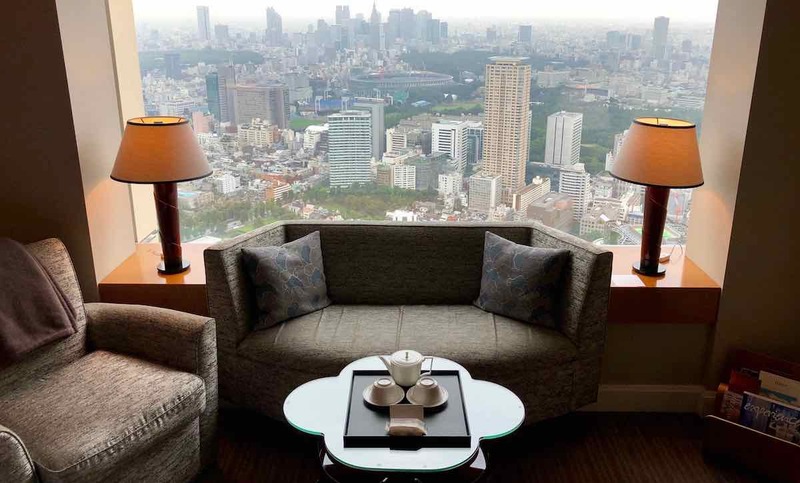 Japan is an increasingly popular destination for travellers from Australia. 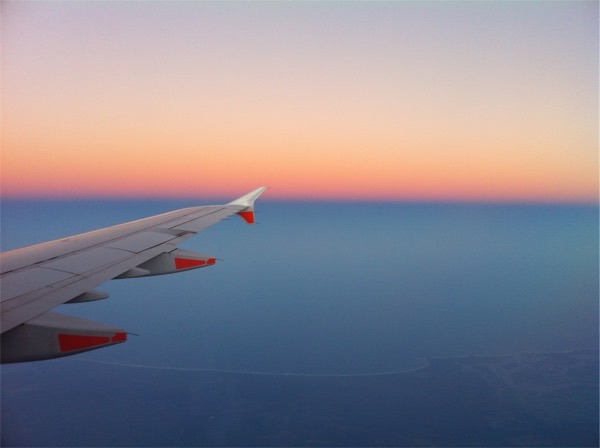 We hope seeing how each of us travelled there can provide you with some inspiration to use your points on a trip north—perhaps for the Summer Olympics in July-August 2020. And now you can put some faces to names so that you know who is actually behind the blog you are reading right now! All very interesting but one thing hit me, staff is 100% male? Good pick up. however this has now changed. 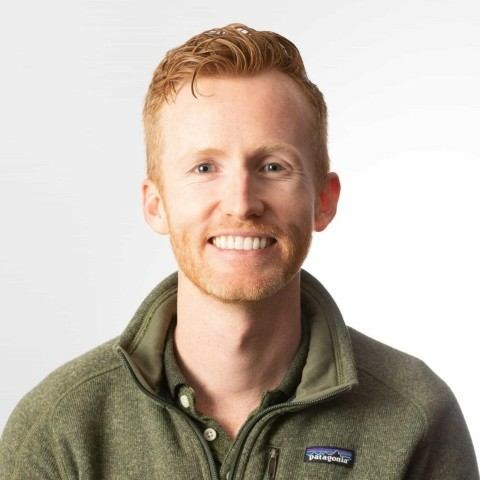 Point Hacks welcomed our new Digital Marketing Manager, Danielle, in January. Thanks for sharing, great to put faces to the names! I must agree with you Keith, I recently flew JAL business class from Melbourne to Tokyo on the overnight flight and had a terrible on and off sleep. The bed and cabin temperature just didn’t do it for me however the service and food were excellent. So all the Point Hacks team is male? Is that representative of your audience? However ANA has better amenities and their Ginza product has RRP well over $200. Plus their Samsonite kit is a nice souvenir to collect. ANA F is also widely available award wise, compare to JAL which is very hard to come by.